SEASON GROWING UPDATE / TULIP CROP. Please find herewith short update on growing season. At this moment temperatures remain very low. For past 4 weeks, temperatures have been lower than normal and there have not been any hot days at all. It results in slow maturing of the crop. In many areas, the crop is still very green. For next 10 days, the expected weather conditions remain cool with temperatures around 16-19 degrees. Cloudy weather and some rain. These weather conditions will cause very slow maturing and delay harvest time even more. However, final growing of the bulbs is good under such conditions. 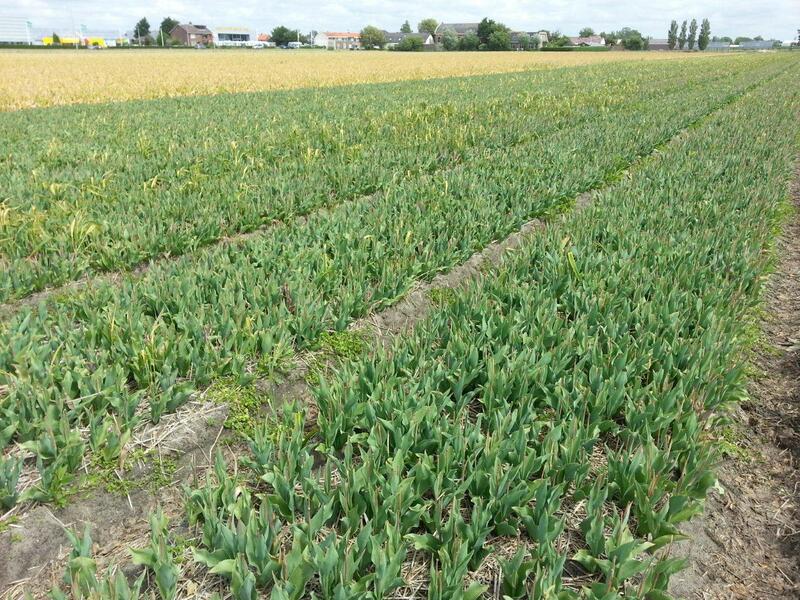 In 2012, already the first growers delivered the bulbs to Onings company .Now, we find that first grower just started the harvest of early varieties this week. Including cleaning and selecting, it will result in two weeks later delivery to our company compared to normal year. It is extremely late. Attached some pictures of crop this week. Purissima, normally the first bulbs are delivered to us this week. Now the foliage is just turning yellow and bulbs are still very white. It will take 3-5 days for such lot number to be ready for harvest. Purissima is very early harvest variety. Next to this lot number you can see the variety Yellow Flight. This is mid - late harvest variety. 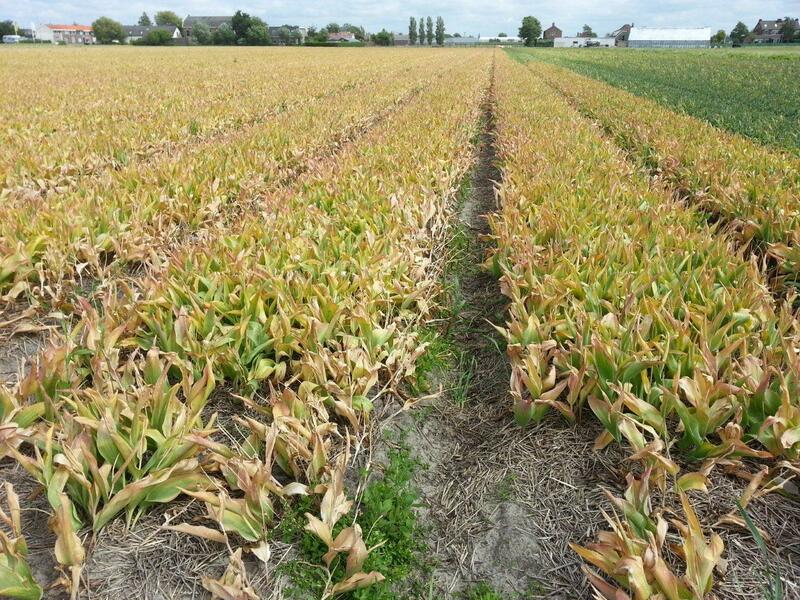 It is still very much green and it will be several weeks before bulbs are mature enough to be harvested. One grower started the harvest with the variety Lefebers Memory. Very early harvest variety. 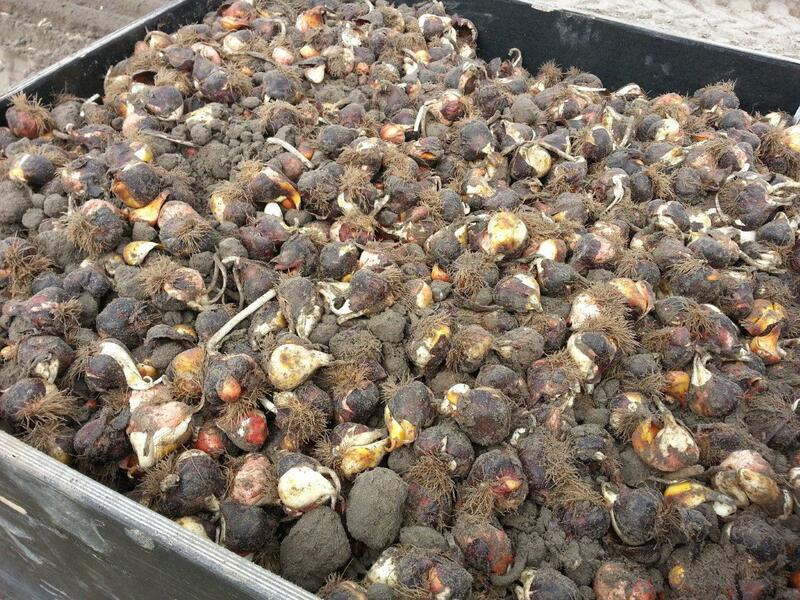 Remarks from grower: Bulbs grew very well in past 3 weeks. The quantity and size is normal. Skin condition from sandy soil area is good. - Cooling start is delayed also but we can not judge exactely at this moment. 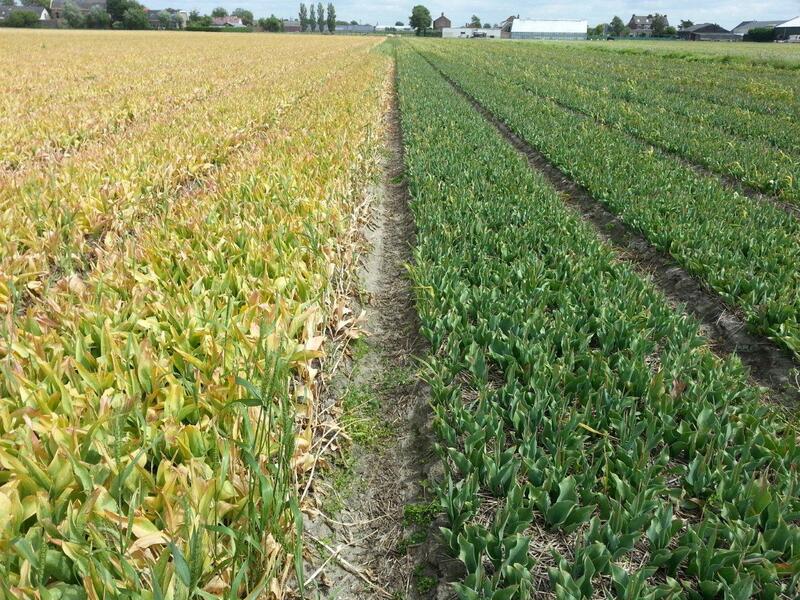 - Bulb growth and quality looks good at first harvest results from sandy soil lot numbers. We will keep you informed in coming weeks.